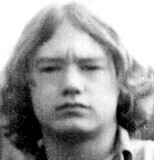 Rodney was last seen in Albany, Oregon on May 24, 1977. Authorities believe he left with Karen Lee, who disappeared two days after he did. The pair reportedly planned to hitchhike to California. Neither of them have been heard from again. Updated 2 times since October 12, 2004. Last updated March 24, 2016; date of birth added.